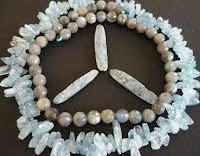 MiShel Designs: My First Bead Soup! 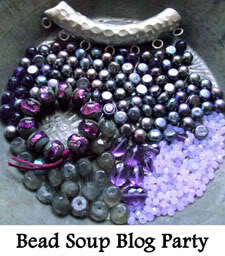 I'm getting excited for my first "Bead Soup Blog Party"!! And no, you don't exchange soup recipes on your blog. Although that would be rather yummy - this is probably a bit more colorful! 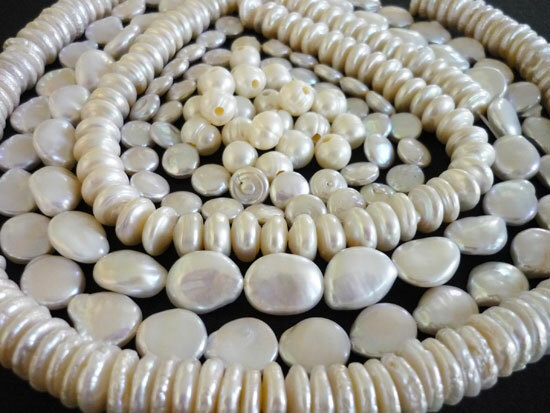 I've peeked in on some of the past Bead Soup Blog Parties and have completely drooled over the beautiful pieces folks have put together out of the beads they were sent. There are some talented people out there, that's for sure! I've got my focal bead, my clasp and my other beads all put together and am waiting to see who my soup partner is so I can send them off this week. I hope they like what I've picked out. I'd love to post a pic of what I'm sending, but I'm not sure that's allowed!! 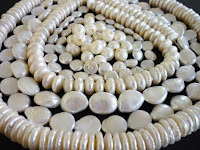 Any Hoo,.....Go ahead and hop on over to Lori's blog - "Pretty Things" - and check out the details of the Bead Soup so that next time around, you can participate too! Peace, Love and Here's to a Cup of Bead Soup! Labrodorite and Kyanite Bead "Sculpture"